Hannah has a lot of words. Sometimes she forms comprehensible sentences, other times she does not. After we tried our first Super Beasts class at The Little Gym of Vaughan, I thought they must have found a toddler with a flair for the English language who detailed everything the perfect gymnastics class should include - because Super Beasts (a Parent/Child Class) was everything Hannah wanted and more. The class is 45 minutes long, but time passes by quite quickly. First there is a welcome song, where the children get to use musical shakers and other instruments. Then there is some group play - the first time we went we played with bean bags, the second class brought out balls and the parachute to the absolute joy of my daughter. Next is free time to explore the gym. Hannah really liked climbing up a group of mats and walking on the beam. The free time is organized, safe chaos. All the other parents tried to stress being patient and waiting your turn like I was trying to stress with Hannah. The instructor will show two or more moves during the free time and help your child do the featured skill. All the while, The Little Gym's infamous music is playing through the speakers (a couple of times Hannah got upset when it stopped and froze on the beam and asked, "More music?"). When there is about 10 minutes left of class, the group comes back together to play with balls and the ultimate for this age group - bubbles. Then it's the good bye song and time for stamps. And tears from my kid because the class is over. As a parent, I loved this class because The Little Gym instructors completely understand what it's like to be a toddler in such a fun space. Our instructor lead the class with enthusiasm and patience and recognized that not all "Beasts" would join in every activity. This allows the parents to enjoy the class too - if Hannah wanted to walk on the beam ten times in a row (which she did) that was OK and I didn't have to worry about trying to engage her in something that wasn't holding her interest. There is definite structure to the class, but there is also a lot of flexibility which I appreciate so much at this age. 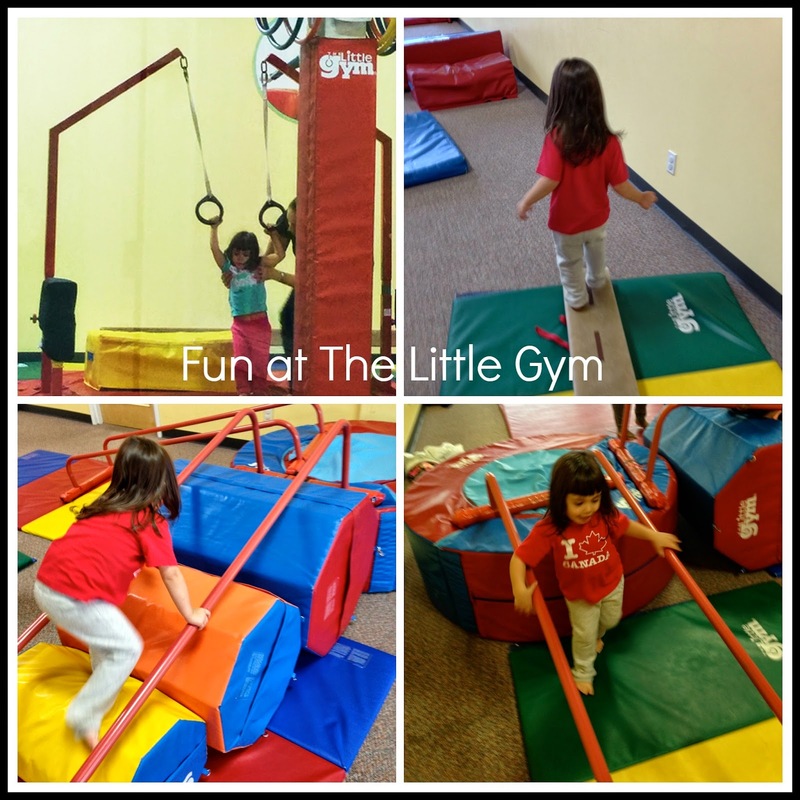 Have you ever wanted to try a class at The Little Gym? 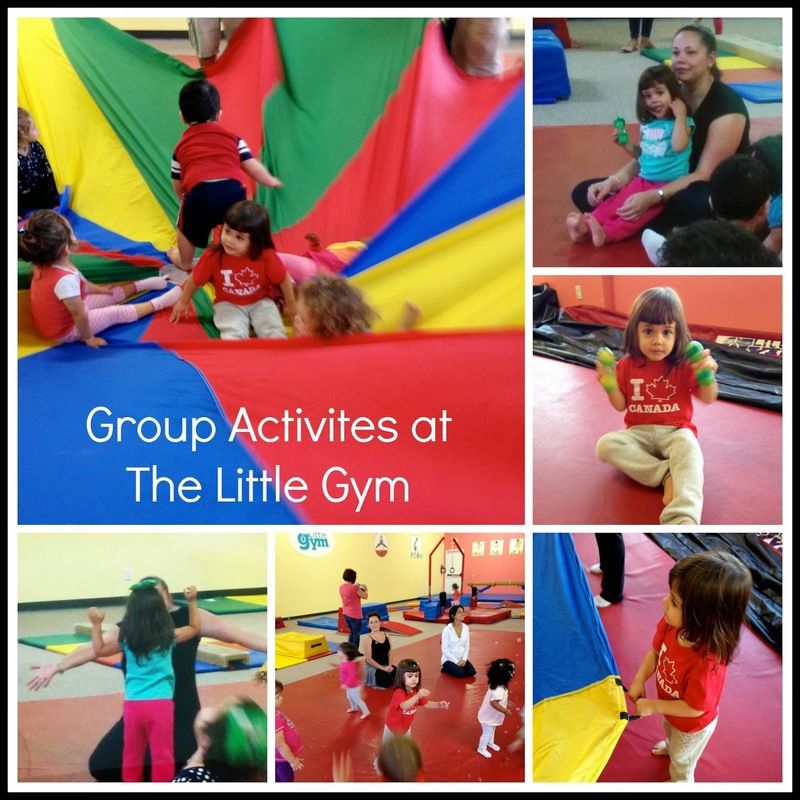 The Introductory Experience allows parents to select a multi-week experience at a significantly reduced cost that allows their children to sample several different The Little Gym programs. The Little Gym offers a variety of classes including gymnastics, dance, karate and sport skills classes for kids up to the age of 12. The Little Gym also offers Birthday Parties, Camps and Parents' Survival Night (so you can have a Friday or Saturday night out). Three lucky YYZ Bambina readers will win copies of The Little Gym’s recent CD release, “20 Move-Along Fun Songs,” part of their proprietary collection of more than 700 catchy, instructive, sing-along tunes featured in their classes. The kids in your life will love the songs as much as Hannah. Enter before October 5th! Disclosure: We participated in a Super Beasts class at no charge for the purpose of this review. As always, the opinions on this blog are my own. When my son was little we had a group almost everyday! But now we stick to a dance class, soccer, and toddler drop-ins of free play. Just the big brother and sister gym classes. Swimming and Skating are big for my kids.